Leng Xue saves Li Mo, again! Previously on The Four… catch up with episode 10 recap! Li Mo awaken on her bed to find Wu Qing watching over her as she slept. She quickly complains about Leng Xue again, and can’t help but compare the two men in her mind. Guess who thinks is nicer? Obviously her crush – Wu Qing. At the other corner of Shen Hou Fu, the test results have been released and without any surprises, Hai Xiang is not on the list of the accepted. Li Mo feels guilty about it, but Zhu Ge comforts her by saying that becoming a detective is dangerous work and those with weaknesses will crumble under trying circumstances. Meh. Anyway, guess who is in town? The bratty Princess! She comes seeking Leng Xue and totally ignores Zhui Ming who has bought her tons of gifts. Don’t get me wrong, she takes the gifts, but still rejects his offer to accompany her in arrow practice. Seriously, is she blind? Zhui Ming is trying so hard and there she is being a total jerk! Finally, Leng Xue comes by and teaches her how to hold the arrow. The bratty Princess gets some skinship out of it all. Bleh. The two really annoying female detectives suddenly suggest that it will be more “exciting” to shoot moving targets and not scarecrows. 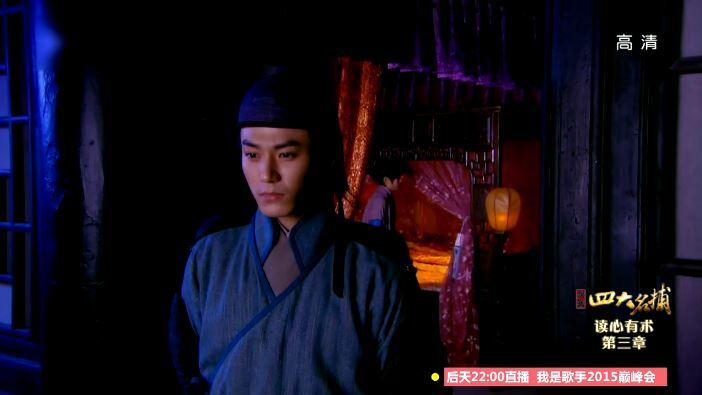 Despite everyone’s protest, the Princess is set on it and out comes Li Mo, the moving target. 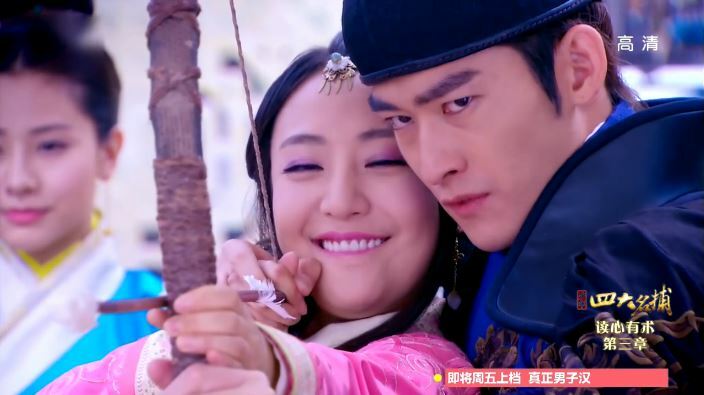 The Princess commands Li Mo to stop moving and sends an arrow flying. One of the female detectives throws a rock at Li Mo, cuasing her to drop the target. Just as the arrow is about to hit Li Mo, Leng Xue grabs hold of it and puts a stop to all the chaos. ‘Tis another day and Liu Shan Meng (remember them?) arrested Wen Wu Chang, the son of Wen Ru Yu, a super bad guy who uses poison to hurt people. They bring Wen Wu Chang to the chopping block hoping to lure his father out. Meanwhile, Wen Ru Yu is begging ASG to help him out. This cannot end well. So ASG helps him out and saves Wen Wu Chang. But alas, this means the Wen family is now officially under ASG’s control. They are given the same poisonous pill ASG gives to all his subordinates. In order to not die from it, they must come back to ASG to get a monthly dose of the cure. After they take the pill, ASG asks them to look into a way to awaken the “wolf poison” entirely. Basically he wants Leng Xue to go cray cray all the time. After the intense sharing, Tie Shou brings Yi Yi to a nearby hotel. He demands that she goes back to her home tomorrow because she should live a happy life and not be involved with him. He leaves some money for her and then leaves… except not really. He stands at the door and wishes her well silently in his head. Why is this a normal practice in these shows??? Like, Imma just stand here where you can see me and talk to myself? 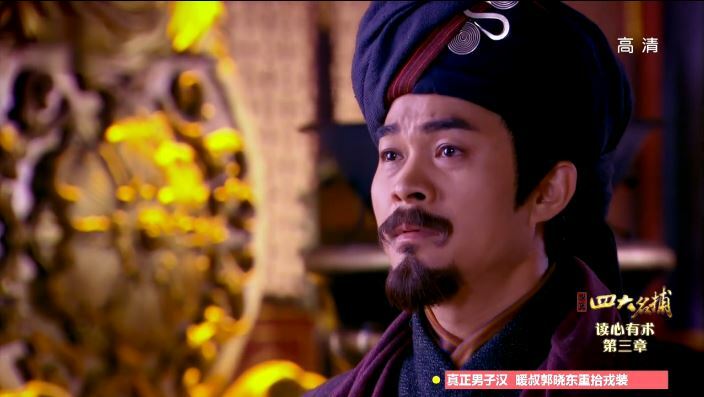 Tie Shou explains to Zhui Ming that if he gives the Princess gifts every chance he gets, she won’t value it anymore. #truth. Bratty Princess thinks it’s impossible for her and Zhui Ming to get together because it’s awkward for them to feed each other food. Apparently feeding each other stuff is the definition of dating. Uh, ok, girl. Yi Yi asks Tie Shou if she can be his sister, and he tells her that she already is. Awwwww. 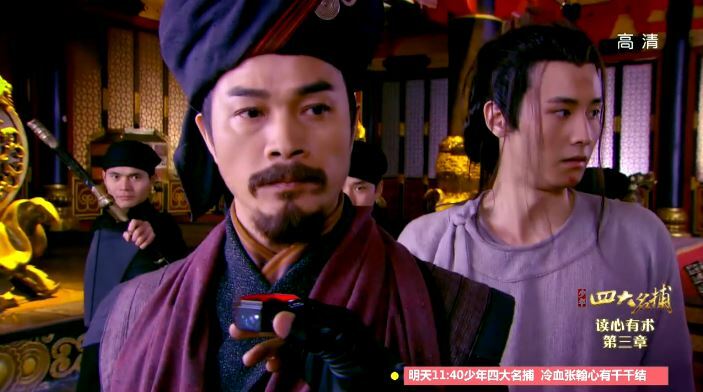 Chun Tong sneaks into Shen Hou Fu and throws some powder near Leng Xue’s residence. It causes him to go crazy! 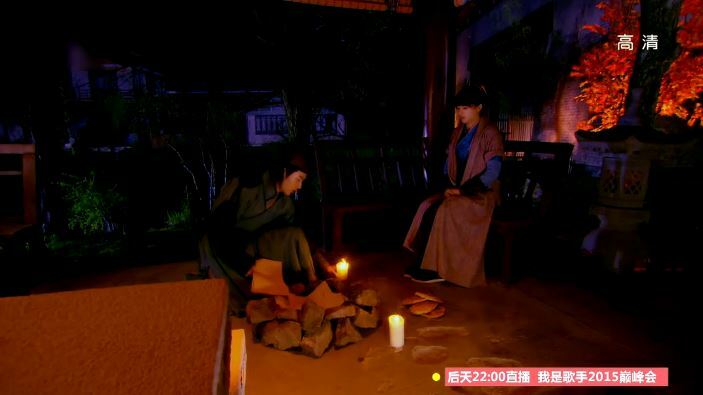 Li Mo sews something for Wu Qing to thank him for saving her. Hello! What about Leng Xue?